Our thoughts and prayers are with all those who are impacted by loss, tragedy or natural disasters. We know that this is not enough. Below are just a few resources to assist you. See also the links to crisis response organization websites contributing these articles for more. We hope they will be of some help and comfort as you support your children. Disaster Distress Helpline Call 1-800-985-5990 or text “TalkWithUs” to 66746. The Disaster Distress Helpline, 1-800-985-5990, can provide immediate counseling to anyone who needs help in dealing with the many issues and problems that might arise from tragedy and traumatic events. 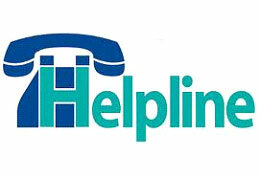 Sponsored by the Substance Abuse and Mental Health Services Administration (SAMHSA), the Helpline immediately connects callers to trained and caring professionals from the closest crisis counseling center in the nationwide network of centers. Helpline staff will provide confidential counseling, referrals, and other needed support services. The Disaster Distress Helpline is a 24-hours-a-day, 7-days-a-week national hotline dedicated to providing disaster crisis counseling. The toll-free Helpline is confidential and multilingual, and available for those who are experiencing psychological distress as a result of natural or man-made disasters, incidents of mass violence, or any other tragedy affecting America’s communities. Talking to Children about Community Violence ABC News, By David Fassler, M.D. 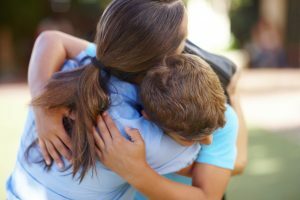 Helping Children After a Natural Disaster: Information for Parents and Teachers Developed by the National Association of School Psychologists. Every Minute Counts in disaster. Make an emergency plan for you and your family. But preparing for emergencies shouldn’t fall on your shoulders alone. Young children and teens alike need to be part of the process — for their own safety and sense of empowerment. Build a Kit, Make a Plan, Get Informed. FEMA provides guidelines to help your family prepare for an emergency. “Get Your Kids on Your Team” Helpful information to involve your kids with emergency preparedness developed by FEMA for kids. FEMA provides Family Communication Plans you can complete as a family and keep with you with important contact information as well as suggestions for communication if you are separated. Family Communication Plan for Kids. Family Communication Plan for Parents. “The Safest Place During a Tornado” Watch this entertaining and educational video by The Weather Channel.